Your Home near the shore or Home away from home. Rehoboth Shores offers year round living at a price you can afford near the shore. Located just 20 minutes from Rehoboth Beach, Delaware, Rehoboth Shores is located on Long Neck Road, near Millsboro where you can find great schools, great shopping, restaurants and premier golfing. If you are into boating, crabbing and fishing, we are located on Rehoboth Bay and near Indian River where you can find some of the best fishing in the area. Some of our amenities include a pool, community building, pavilion, private beach and a newly renovated marina with bulkhead slips, and floating docks. Manufactured Home Rentals Available ! 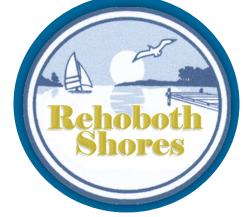 Rehoboth Shores has an array of pre-owned homes for rent. Stop in or call us for more information.